I'm always up for a good foreign thriller, and everything I've heard about this in the past year or so has my anticipation level near its highest point. 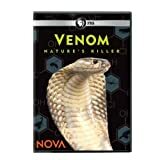 ...follows two scientists as they track down and capture the planet's most deadly creatures, risking life and limb just to tease out milligrams of venom and get it back to the lab. Find out how nature's deadliest cocktails could be medicine's brightest new hope. Milestone announces the MILESTONE-ON-DEMAND video line. In an effort to create greater access to its extensive Milestone collection, high quality masters and replication will be used in the coming months to release some of our most long-sought-after titles. Silent films, documentaries, foreign films and classic comedy shorts will all be featured in the coming months.